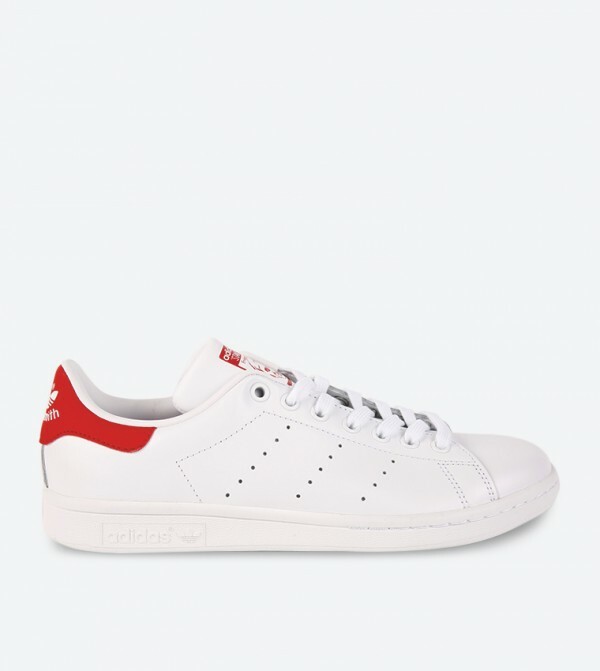 Showcasing a sleek and sophisticated silhouette, these white and red colored Stan Smith Sneakers by Adidas Original exude a high fashion appeal. The Classic tennis shoe Adidas Stan Smith first made in the 60's for the legendary Tennis Player. It has premium leather upper, synthetic leather lining and perforated 3-stripes. The tough rubber outsole guarantees outstanding durability.